Horror movies can be quite effective at scaring us. 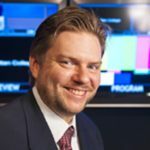 Michael Grabowski, associate professor of communication at Manhattan College, determines what makes them so successful. Why do we scream out loud when we watch a horror movie? The simple answer is because it’s scary, but a deeper examination reveals a more nuanced picture. Movies hijack our perceptions and emotions, systems that had evolved within a natural environment. A field called cognitive film studies not only is uncovering why movies work the way they do, but also is leading to clues about how our brains work in the real world. Our brains filter out most of our perceptions, allowing us to focus on salient information. Editors take advantage of what psychologists call change blindness to hide continuity errors and story elements in plain sight. Some audiences may see that zombie lurking in the corner, while others are paying attention to other actions in the frame and miss the monster until it attacks. Our perceptual system is multisensory, and embodied simulation mimics the emotions of characters we perceive. When we see a hero wince in pain or a weapon land a blow, we may react as if we are feeling the pain ourselves. This social connection on an experiential level helps bind us to others in our group, as well as to characters on the screen. Emotions function like an action potential: they prepare us for motor action to react to what we have perceived. Fear triggers a stress response in our amygdala, quickening our pulse and secreting adrenaline and cortisol to prepare the body for fight or flight. Our cognition largely suppresses motor action while watching a movie, but if our emotions are strong enough, they can override that suppression, and we scream or jump. So the next time a movie monster makes you scream, you can take comfort in knowing why, and be relieved that it’s only a movie.